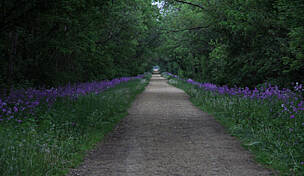 Stretching from Afton to Janesville, the northern section of the Peace Trail offers a paved, tree-shaded route paralleling the Rock River and an active rail line. 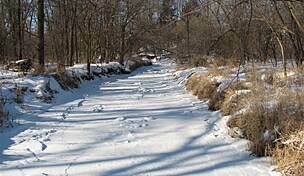 At its northern end, the trail merges with the Rock River Parkway Trail, which continues east another 2.5 miles along the river. From here, trail-goers can cross County Highway D (Afton Road) to enter Rockport Park, a picturesque open space offering trails, a pool, concession stands, restrooms, a historic farmstead, and the Peace Park Playground. 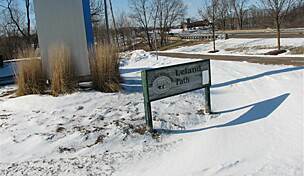 Another section of the trail, disconnected from the rest, is currently open on the northern outskirts of Beloit. 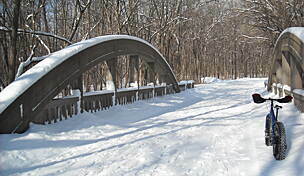 This section spans about 2 miles and enters Big Hill Park, which is nestled along the west bank of the Rock River. 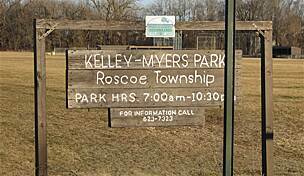 The heavily wooded 197-acre park offers hiking trails, an environmental center, picnic areas, and playgrounds. It's one day hoped to complete the gap between these cities, linking Beloit, Afton, and Janesville by trail. 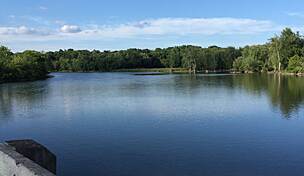 Trailhead parking is available adjacent to the Janesville Wastewater Plant at the end of Tripp Road. At its northern end, the Fisher Creek parking lot is available near the intersection of County Highway D (Afton Road) and W. Rockport Park Drive. Parking is also available in Rockport Park (2801 Rockport Road). 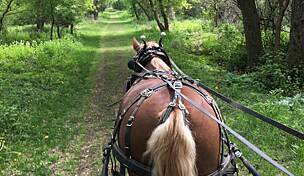 In Beloit, parking is available in Big Hill Park. We parked at Big Hill Top park inBeloit where I was under the understanding it was going to be a continuous trail of Asphalt and go straight 6.4 miles up towards Janesville. 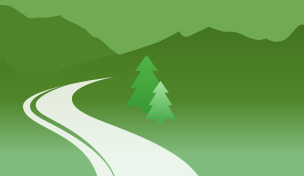 It started out cool with Asphalt going downhill on a winding paved road. At the bottom it ends with no signs of where to go. So we wander around. 1 one leads to a field. The other leads to off road (which was pretty as it was along the river) it leads out to a road that you're supposed to go up to the left a little ways and cross into what looks like a path that hasn't been used in years. We didn't take it because it didn't look rideable. We eventually found another path onto peace trail and decided to give it a go anyways. Ouch! Led through an unused path that hasn't been mowed in months. Led to another road. No signs. No idea where to go. We used the roads to get back to path that was paved and went back to vehicle. Can't say I'll start in Beloit ever again.